CompanionLink v4 is better than ever before! PROS: Supports all modern versions of Outlook and all modern mobiles. USB sync, wireless sync and Google sync are all includes and it does exactly what it says on the tin perfectly! CONS: Is too good an option!? VERDICT: One of the most useful programs I have seen in a long time! If you are using a smaller Laptop (netbook etc.) you are facing the problem (or should I say challenge) of low screen resolution. The lack of space (on your screen) makes it difficult to see all the information you want at all times. 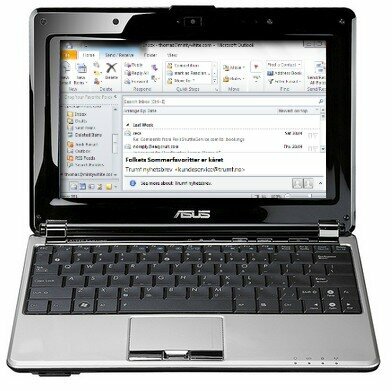 I use my netbook as my primary email and communication computer. Mostly because of its handy size and portability. The resolution is a mere 1024x600px which is to say at least not very High-Res. When it comes to using programs like Outlook, Word etc. with large ribbons or toolbars, the space available for work is, somewhat limited. It’s not very often we get to see commercial products going freeware. Can you imagine this happening to Adobes Photoshop or Microsoft’s Office ? I think not. 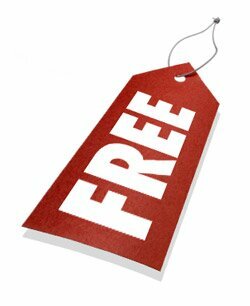 There are of course hundreds of freeware programs out there that will give you some or most of the same functionality, and now, we can add three more to the Best Freeware list. Thanks to freewaregenius for pointing these out to us. PROS: The free version gives you access to your PC with no restrictions that would make it difficult to use your PC remotely. CONS: The only con is the pro features are not free but I have no objections to their pricing structure. VERDICT: If you want to work on your PCs remotely, this tool will do everything you need. You don’t need to set any complicated firewall rules, set up any kind of DNS to access your PC, or worry about anything complicated. LogMeIn just works. PROS: Great user experience, powerful built-in editor, tons of sharing options, and it’s free. Can be used as portable app. CONS: Video capture in free version is too short, and this feature is still very new. VERDICT: If you are looking for one of the best screen capture tools for free, this is the one. Recently, Thomas reviewed a program called InputDirector, which lets you use a single keyboard and mouse across multiple computers. For some time, I’ve been using Synergy, which does the same thing. In this review, I show you the features of Syngery and show you how to use it. PROS: Lightweight, does what it claims, can be very useful for Home Theater PC setups as well as multi-PC offices etc. CONS: Can be a little difficult to get working as you expect it to. Cannot link computers on different subnets or networks. VERDICT: If you find you don’t like InputDirector and want to give Synergy a try, I think you’ll find you really like it.